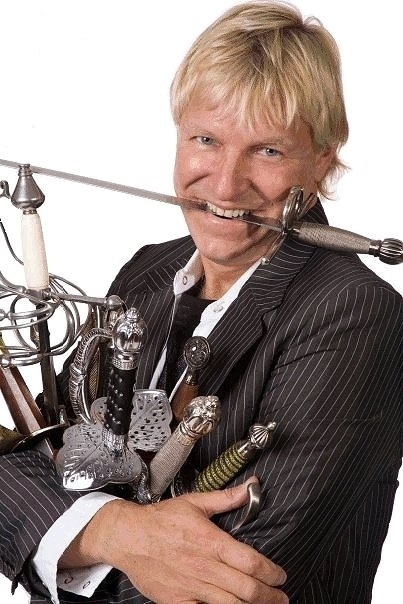 Dan Meyer swallows swords, eats fire and glass, and inspires audiences to do the impossible. Dan is a World Champion Sword Swallower, recognized by “Ripley’s Believe It or Not” with 7 Guinness World Records. He is president of the Sword Swallowers Association International, and winner of the 2007 Ig Nobel Prize in Medicine at Harvard for sword swallowing medical research. Having been seen by over 750 million viewers in 25 countries, Dan is recognized as one of the top sword swallowers performing around the world today. As a motivational speaker on overcoming obstacles and doing the impossible, Dan speaks at TEDx, Ig Nobel, PINC, Ignite talks, corporate, science, medical, college, and youth events around the world. In addition to superhuman feats, Dan has served as executive staff of several charitable organizations dedicated to improving lives of children both in the United States and around the world. 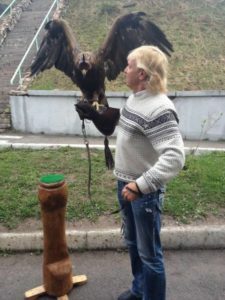 Dan is also an animal enthusiast, whether it’s riding Icelandic horses, performing with his macaw, or flying golden eagles in Kazakhstan. You can learn more about Dan at Cutting Edge Innertainment.